It is a common refrain nowadays: “I don’t want to get married. There is no meaning to it anymore, and it does not really matter.” However, the statistics say otherwise. Data has shown that married people are on average healthier, wealthier, and live longer. 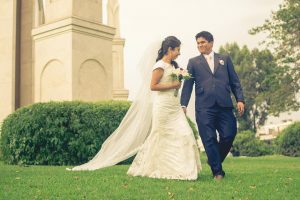 It does not matter if you want to abstain from marriage or not: the facts point to marriage being an overall beneficial practice for almost all spheres of human involvement. Numerous studies have shown that marriage makes one healthier. For instance, “Roberto Manfredini—a professor of Internal Medicine at the University of Ferrara in Italy—and colleagues pored over data from 35 studies conducted over the past several years which included 1.2 million subjects. After all was said and done, the global study—published in the Journal of Women’s Health —concluded that being married is in fact “associated with lower risk factors and better health status”’ (Entity). There are certain reasons for this: hypertension is lowered, dietary habits are improved, physical fitness is more regular, and health checks are done on a more consistent basis. The only negative health factor associated with marriage is that married people have a higher risk of becoming obese, especially men. With all this considered, it is clear that marriage makes you a healthier person overall. Not only are married couples healthier, they are wealthier on average than singletons. According to Today, “Couples who get and stay married can have as much as four times the wealth of their single or divorced peers. Experts say that’s not only because they can combine their salaries and share expenses once they get married” (Linn, Allison). In the first place, the people who are getting married are more affluent, religious, and more educated, which are all factors that can contribute to wealth. Secondly, living with another person is more fiscally conservative, as you often need only one thing for two or more people i.e. a dishwasher. Insurance can be shared, and also taxes can be lowered in the case of marriage, and especially with children. Thirdly, the main worker of the household can focus more on work while the home is being cleaned up. This means more working hours and more comfort at work with home-cooked meals and knowing that the home is being taken care of. Longevity is another factor in favor of getting and remaining married. Through many decades of research, it has been demonstrated that married couples live longer on average than single people. The reasons for this are that couples cook more, drink less alcohol, have more emotional support, have more companionship, are less prone to depression, have less stress, have more physical health checks, eat communally, smoke less, and have more support for healthy habits (The Daily Meal). So, not only will you be healthier and wealthier as a married person, but also live longer than those who choose to be single. This works out to be a more fulfilling life and a more happy one. It is clearly shown through data and research that those who get married are better off than single people when it comes to health, wealth, and longevity. Though there are many benefits of being single as well, it seems that being married outweighs those pluses. In order for marriages to be advantageous, though, couples have to strive to be balanced, happy, and cooperative. Then, all this research can be realized. “Staying Married Makes You Healthier, New Study Reveals.” Entity, 12 Apr. 2017, www.entitymag.com/staying-married-makes-you-healthier-new-study-reveals/. Linn, Allison. “Why Married People Tend to Be Wealthier: It’s Complicated.” TODAY.com, TODAY, 13 Feb. 2013, www.today.com/money/why-married-people-tend-be-wealthier-its-complicated-1C8364877. “10 Reasons Married People Live Longer.” The Daily Meal, www.thedailymeal.com/entertain/10-reasons-married-people-live-longer-slideshow.